Bijofu Cuvée Akagizaka Unfiltered Sparkling (美丈夫 あかぎ坂 うす濁り) - with a seimaibuai (精米歩合) of 50%. Made especially for Master at Tamanegiya (たまねぎや) Tokyo and a gift from him on my last visit. Sweet on the attack but with a dry finish. Body seemed light at first but there's actually more depth here. 1995 Laurent Perrier Grand Siècle - nice and more acidic thanks to the dominance of chardonnay, but also some ripeness on the attack. 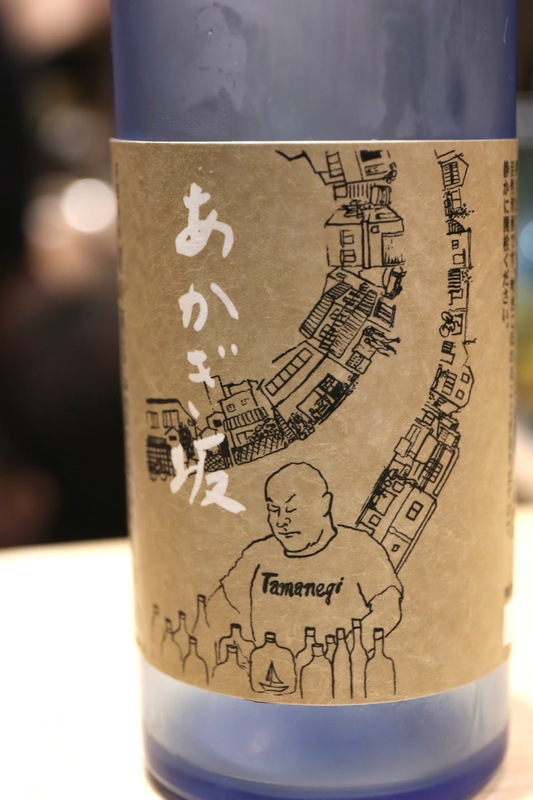 Zaku Crown Toji's Specialty Select (筰クラウン 杜氏特選秘藏酒) - with a seimaibuai (精米歩合) of 40%. Smooth on the palate with a dry finish, opened up to show a more yeasty nose and a full body. Very delicious and enjoyable.